In 1866, Quaker Reuben Schooley (1826-1900) sold its Second Street property to the "colored people of Waterford and vicinity." 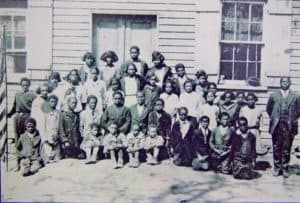 The local African-American population, with financial help from the Quakers, promptly erected a school building they could also use for church functions. 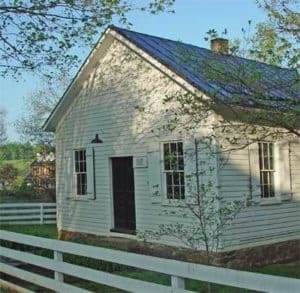 This is one of the older one-room schoolhouses in Loudoun County and may be the oldest African-American house of worship. The school finally closed its doors in 1957. The simple one-room frame school on Second Street was built just two years after the Civil War ended. Opened under the auspices of the Freedmen's Bureau, it was Waterford's first school for the black community. The Friends' Association of Philadelphia, Waterford's local Quaker meeting, and a "colored educational board" provided additional support. The first teacher was Miss Sarah Ann Steer, a white Quaker living nearby. Early classes were large. The District Superintendent's report to the Freedmen's Bureau in 1868 recorded 63 enrolled, with an average attendance of 42. Twenty-eight were older than 16. By the early 1870s the school became part of the county's new public school system. Schools for white children in Waterford remained private for another decade. The new building served from the beginning as church as well as school. African Methodist services were held here until 1891, when John Wesley Church was built near the mill. One student recalled attending Baptist services at the school around the turn of the century. 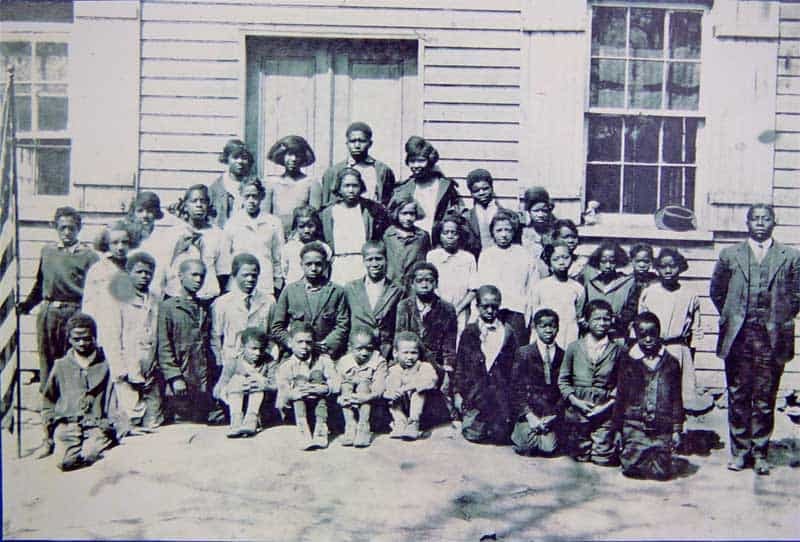 Black children from the village and nearby farms attended the school until 1957, when it was closed by the School Board. Recognizing its historical significance, the Waterford Foundation acquired the building in 1977. The program, developed with the help of The National Endowment for the Humanities, fosters an appreciation of the opportunities and limitations faced by black children in a segregated one-room school. Recitation, seat work with slates and copy books, memory exercises, and a spelling bee are part of the two-hour school "day". Waterford Foundation volunteers take on the identities of the teacher, Miss Aura Nickens, and her assistant, Miss Lizzie A Simms (About her house). The program reaches some 1,500 young scholars during a five-week fall session and a nine-week spring term. Teachers: A lesson plan that focuses on changing life in a Quaker agricultural community and mill town. It can be used in American history, social studies, and geography courses in a unit on early industrialization or to illustrate how communities adapt to economic change. 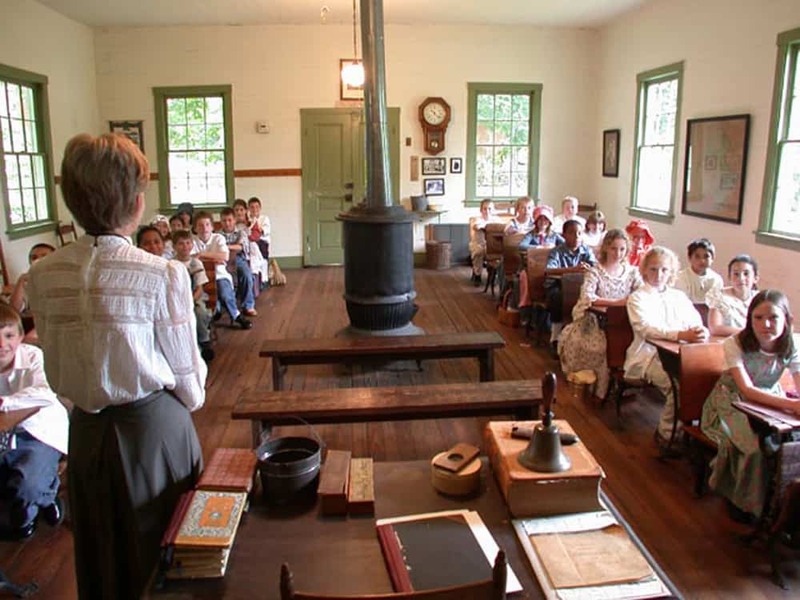 Time period: 18th century to 20th century for Grades 5-12.